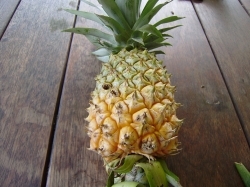 They take a while to fruit, but the tiny fruit looks wonderful and the mature fruit tastes so good! A great looking plant and I use it as a border plant as well. 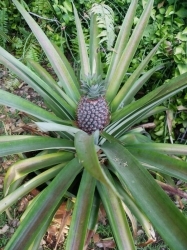 This pineapple is growing in an old washing machine tub. 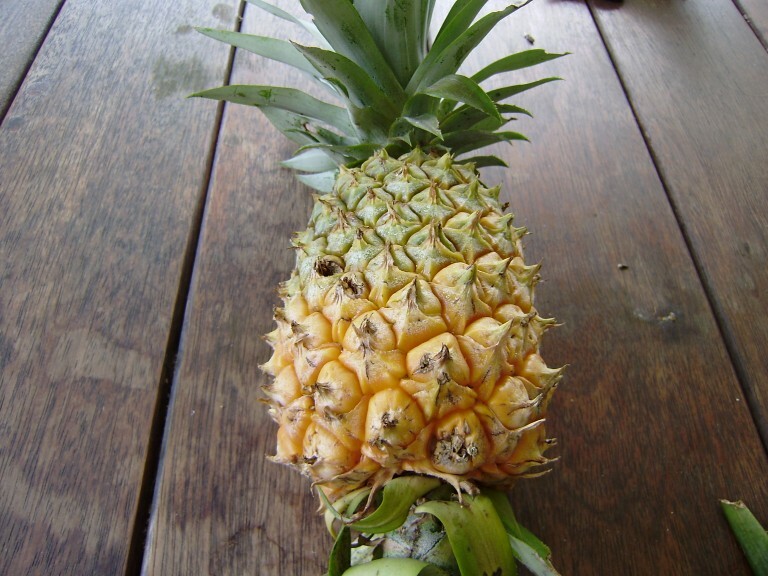 It is the first pineapple that has fruited and is about 18 months old. 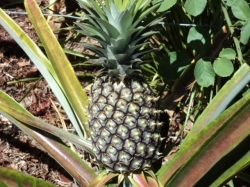 Most exciting to taste to see if it is worth growing more. 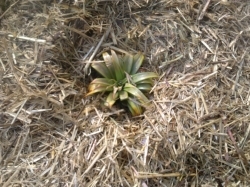 The pineapple itself is about 3 weeks old and is growing fast-aprox. 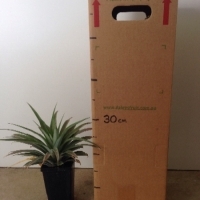 half the size of a shop bought one at present. 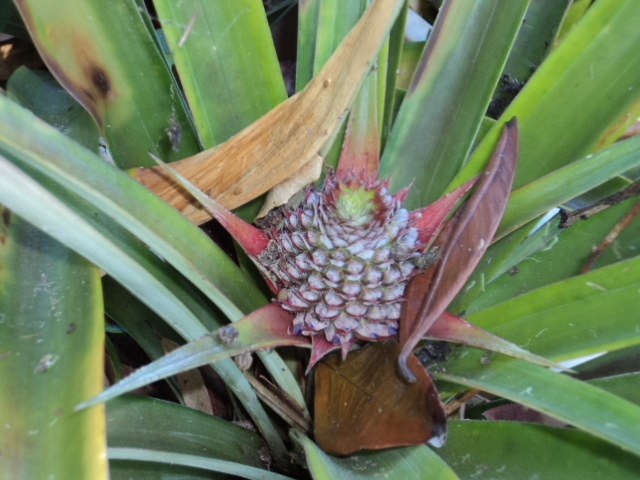 I don t really know when it will be ripe or ready to pick. 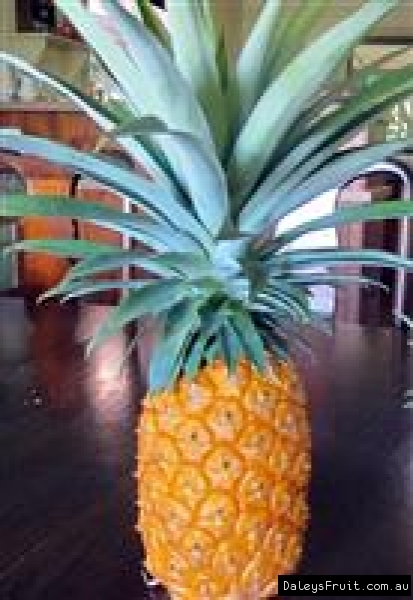 I do know there will be many hands reaching out for a slice once it is ripe. 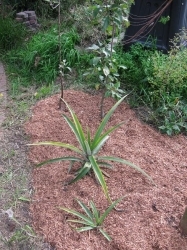 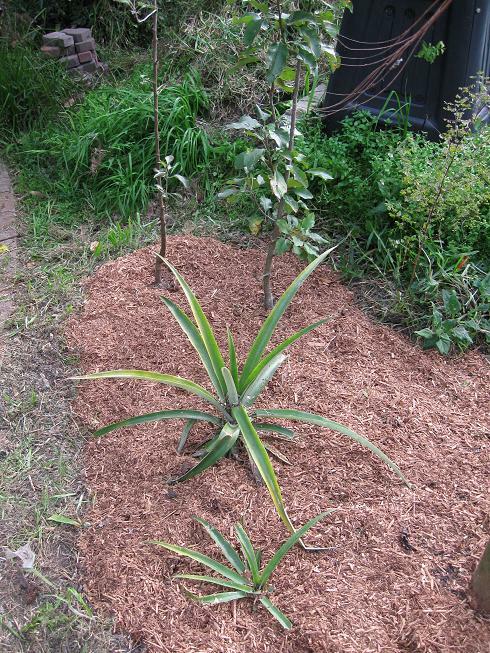 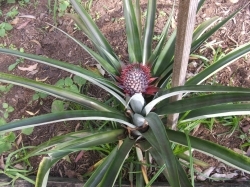 I planted my pineapple because it was so yummy and it is so easy. 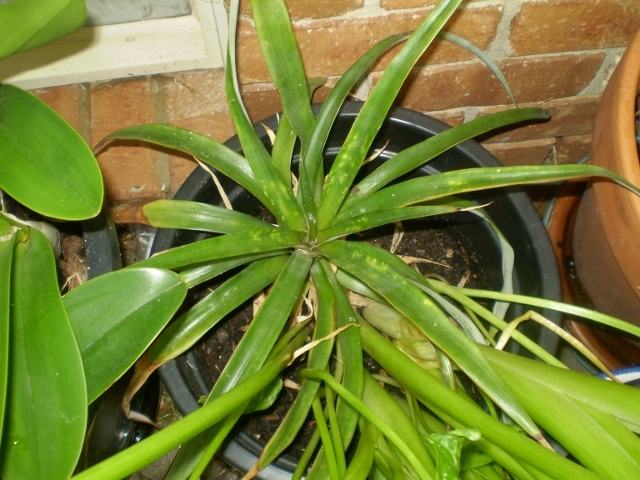 Just pull a few leaves of the top base till you have some stem and put it in moist soil and don't water too much. Comments: - I've planted three pineapple tops into the garden to see how they go. They were taken from pineapples from a farm near Maryborough, QLD. 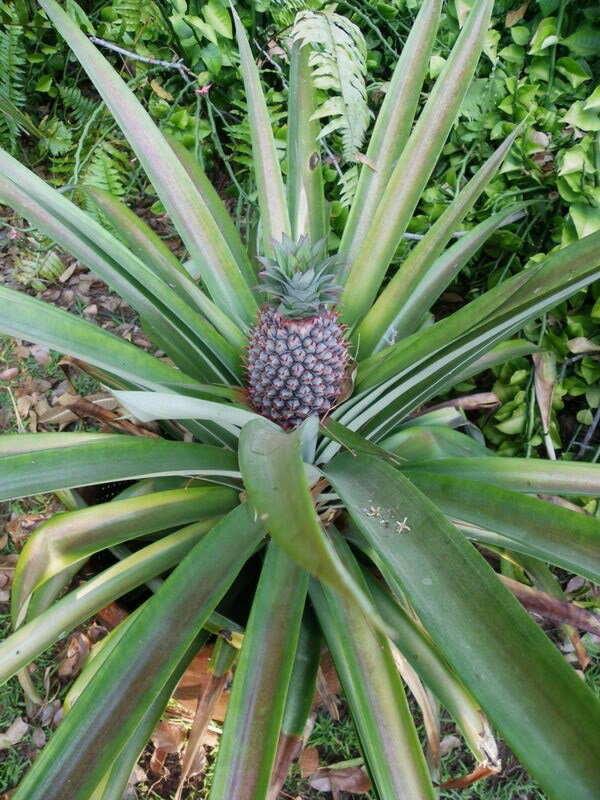 The pineapples were big and sweet so hopefully this fruit will be the same in a couple of years time! 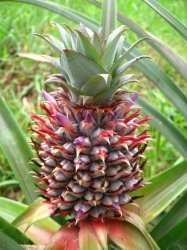 They are currently planted among pawpaws & bananas and mulched with sugarcane. 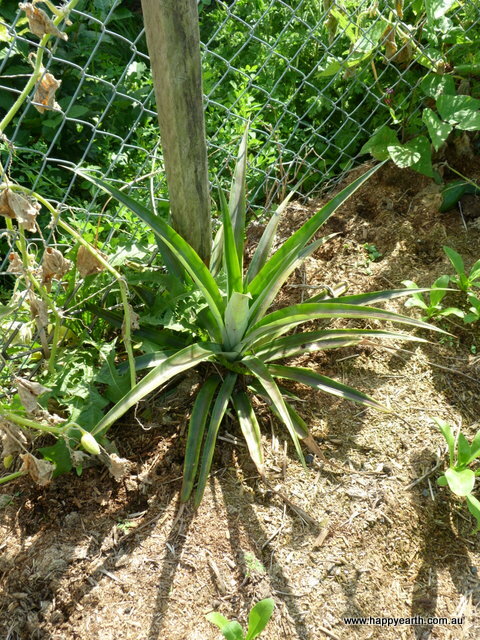 They are north facing so get sun for most of the day. 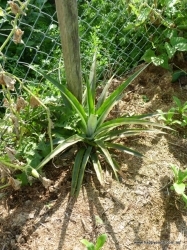 Believe it or not, these are growing beside two Apple trees. 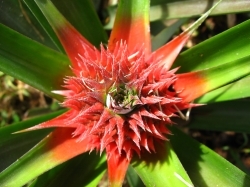 -Crazy experiment. 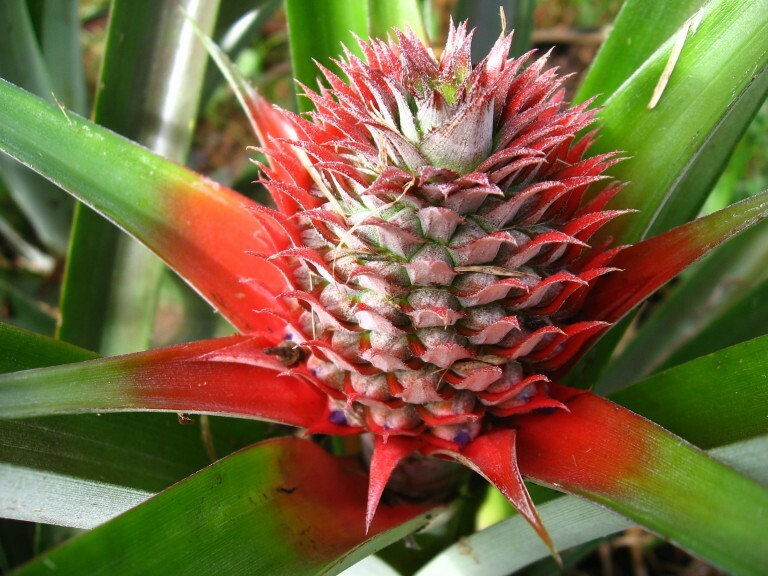 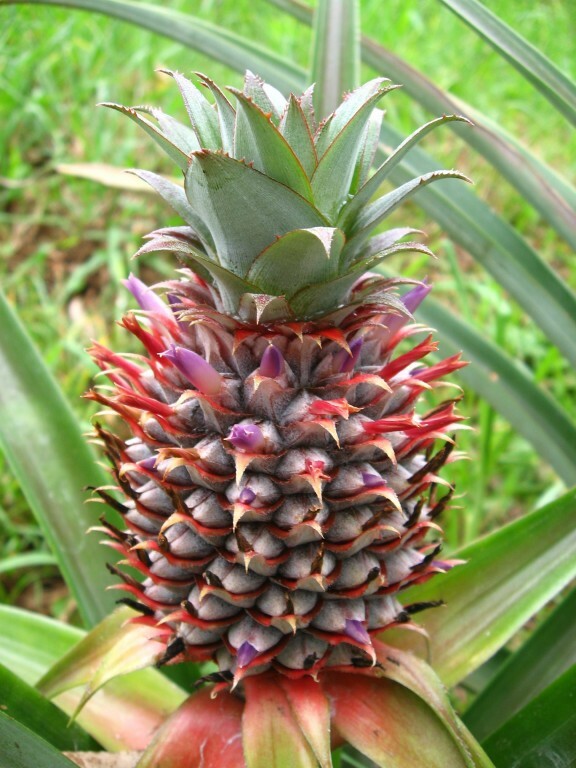 Pineapples can be propagated by using the pineapple tops. 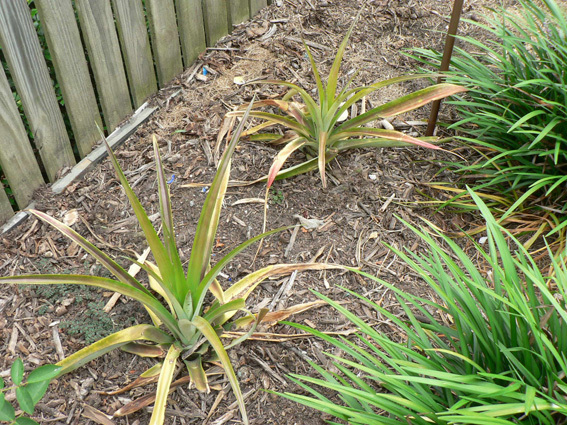 Before planting into the ground or pot, let the tops dry in the an open area for a week or two and then pull a few of the lower layer leaves. 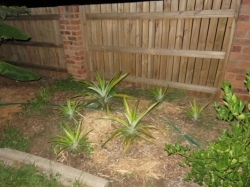 My pineapple tops have been planted in the 20cm pots for nearly a year, they are still alive but hasn't grown much at all. Maybe need a sunnier spot and more feeding. 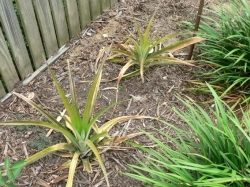 Comments: - Growing several types of pineapple ' including rough leaf .